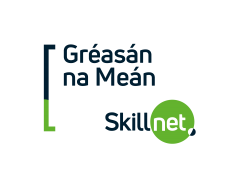 Participant Profile: This course is being run by Greasán na Meán Skillnet in partnership with Screen Skills Ireland. This course is aimed at Camera Trainees or trainees from other areas wishing to work in the Camera department. Although aimed at trainees, a basic knowledge of cinematography is a prerequisite. The ideal applicants will have two to three years’ experience in a film / TV related college course or similar workshop or proven experience working with cameras, and should have at least a basic understanding of the principals of photography. Course Profile: Camera Trainee Workshop will be run over three days at The Ros na Rún Studios, Baile Árd, Spiddal, Co Galway from the 27th April to Monday 29th April 2019. This workshop aims to introduce, educate and prepare participants for an entry-level position as a camera trainee for work in Film and TV. Course tutor will be Cinematographer Ciaran Tanham ISC, Course supervisor will be John Leahy along with an experienced camera assistant/focus puller. This is a beginner’s workshop, for a limited number of participants, and will focus on best work practices for Camera Crew on Set, Prep of equipment, handling equipment, roles in the camera department, along with the mechanics and preparation of the most commonly used Camera systems used in the industry at present. The course will give each participant ‘hands-on’ time with each camera system and will involve lectures and demonstrations. Ciaran Tanham, ISC, has been working as a Director of Photography in the Film and Television Industry for over twenty years, shooting on 35mm, 16mm, Hi Def, Digi Beta, DV and mobile phone. He has worked in many countries around the world shooting for RTE, BBC, ITV, Paramount USA, HBO, Hallmark and AMC. Ciaran is a founding member of The Irish Society of Cinematographers (ISC) and been nominated five times for the Irish Film and Television awards (IFTZA) for his cinematography.